and sign up for one of these Californian culinary courses. Learn to cook like an Italian pro during a "Secrets of Cantinetta Luca Cooking Class." Executive Chef Jason Balestrieri gives a hands-on approach with step-by-step instructions and helpful recipes. Learn the secrets behind the exceptional flavors behind Cantinetta Luca which is consistently named "Best Restaurant in Carmel." Classes are held once a month and highlight different dishes like homemade sausage and gnocchi. Become a master at crafting cocktails and perfecting tantalizing desserts at a "Sweet & Savory" class at Aubergine Restaurant in L&apos;Auberge Carmel. Classes start off with a glass of champagne before getting down and dirty with specialty sweets like Thanksgiving pies, holiday canapés and unique cocktails. At the Stone Creek Kitchen, great food is abundant. A variety of different cooking classes and demonstrations are offered regularly so you can always find new techniques and recipes. The class sizes are fairly small (around 10-12 students) so that students can observe, sample, ask questions and participate without feeling overcrowded. The method behind these cooking classes is that students will be able to take away not only the recipe, but culinary techniques, tips and tricks that can be used when cooking any meal. The range of classes offered covers everything from making soup, fish, vegetarian fare, healthy meals, Moroccan style food and even sushi. For great food, excellent chefs and cooking tips you won&apos;t soon forget, take a course or two at the Stone Creek Kitchen. If you&apos;re looking to learn more about food while sampling delicious cuisine and learning from celebrity chefs, come to the Cooking for Solutions Gala. 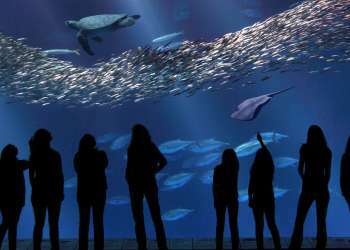 This annual food festival is located in the Monterey Bay Aquarium and will delight your eyes and taste-buds with tropical fish and amazing food. There are many events during the gala you won&apos;t want to miss, including discussions with celebrity chefs and taste-tests of over 80 local restaurant&apos;s cuisine on the aquarium&apos;s ocean-view deck. This year&apos;s gala included food seminars and samplings with chefs Carla Hall, Sam Choy and Hugh Fearnley-Whittingstall and Russ Parsons. 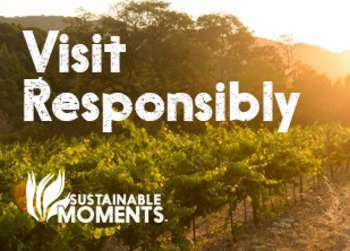 Not only will you eat a lot of delicious cuisine and meet other foodies in Monterey, you will learn about what you eat. At the Williams-Sonoma in Monterey not only will you be able to purchase the tools to cook a meal, but learn how to use them as well. The cooking classes here focus on cooking quick and easy healthy recipes that students will be able to recreate at home simply. All of the ingredients used during the courses are from local farms, specifically the Del Monte Farmers Market and Higher Ground Organics. Starting from a base of natural, organic produce, students will learn how to cook food using healthier methods and build their own recipes upon these methods. Attendees will also learn the basics of cooking as well as how to store ingredients and meals properly, making cooking at home a breeze. If you&apos;re tired of going to restaurants to eat great food, try taking a cooking class to learn how to make your own at home. At a cooking course you will get the chance to taste great food as well as learn how to make it at home. In the Monterey area there are several opportunities for you to don your best apron and learn to cook from master chefs. So, sign up for the class that&apos;s right for you, channel your inner Rachel Ray and start creating delicious meals.